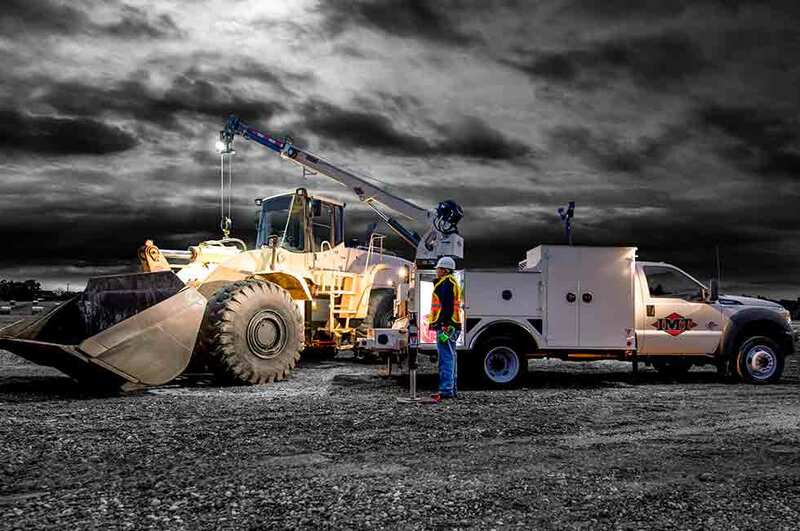 Service cranes are a fleet manager’s secret weapon: 4 things to consider when selecting one - Iowa Mold Tooling Co., Inc. : Iowa Mold Tooling Co., Inc. When you expect to use it once a week or slightly more often and lifting needs are light, electric telescopic cranes might be the answer. These cranes generally cost less because they do not require a hydraulic pump, hydraulic reservoir or PTO and have a maximum lifting capacity of 4,000 pounds, such as the IMT 3203i Telescopic Crane to 6,000 pounds, such as the IMT 6006i Telescopic Crane. While electric cranes provide a lower-cost alternative to hydraulic cranes, make sure you’re not trying to save money by purchasing an electric crane if you anticipate daily use. These service cranes are intended for intermittent duty, and greater utilization could greatly reduce lifespan. Electrical systems are also unable to handle the stress of loads larger than 6,000 pounds, so turn to hydraulic if your lifting needs exceed that. 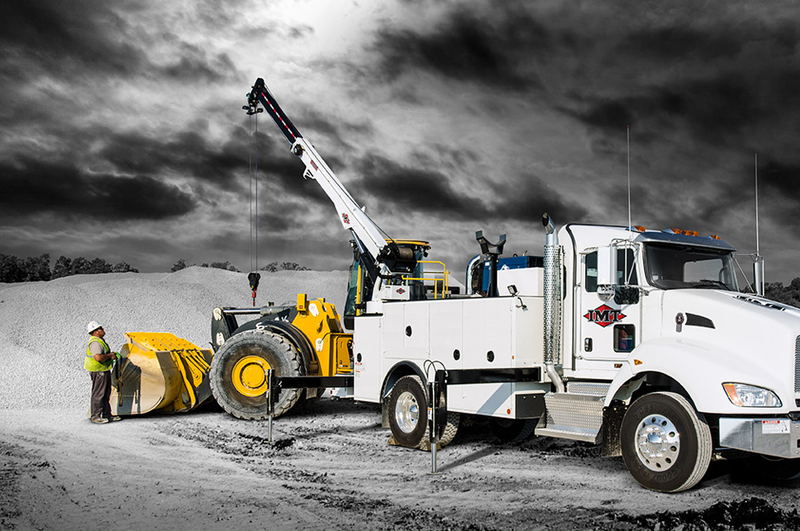 Hydraulic cranes are the most common choice for mechanics trucks because they offer a broad range of lifting capacities — generally 3,200 pounds, such as the IMT 1015 Telescopic Crane, to 14,000 pounds, such as the IMT 14000 Telescopic Crane — and are designed for more regular use. Today’s larger equipment has driven industry demand for greater service-crane reach and capacity, so there are many new hydraulic telescopic models with improved reaches and capacities. For applications with lifting needs greater than 14,000 pounds, it’s best to consider an articulating crane. When selecting a crane, it’s important to consider factors beyond reach and capacity that might enhance productivity and safety. Features that might improve productivity include a negative boom angle, fully proportional pistol grip radio remote control, planetary winch, flip sheave and a well-designed boom hook stow. Negative boom angle provides added versatility and allows the crane to be reached more easily from ground level. A fully proportional pistol grip radio remote control offers traditional fit and operation. 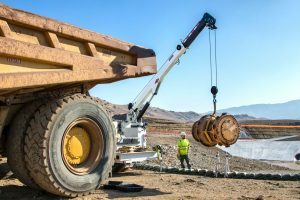 A planetary winch allows for faster hoisting and lowering speeds and smoother overall operation. A flip sheave boom tip provides added lift height in tight quarters. A well-designed boom hook stow allows the boom hook to be stowed easily and quickly. For safety purposes, it’s also important to consider some kind of load monitoring indicator. For example, LED overload indicator lights or readouts on the remote control handle alert the operator when the crane is approaching overload condition or is in overload. Some manufacturers also offer products that can enhance the value of telescopic service cranes. 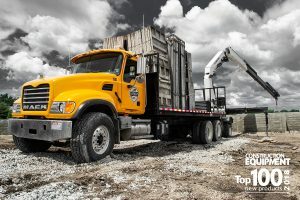 These increasingly include auxiliary power units, which are engine driven independently from the chassis and power the crane or air compressor with the truck engine turned off — resulting in significant fuel and maintenance savings and longer engine life. The compact unit is well-suited for the mechanics truck of any manufacturer. The addition of other components such as an air compressor, compressor/welder/generator or lube skid can also help you maximize the value of your mechanics truck. When sizing up different service crane manufacturers, you need to know that you’ll be working with a strong distribution network and that there’s a location near your operations. Choosing a manufacturer with an extensive and well-trained distributor network means you can count on an expert, honest assessment of your lifting needs when spec’ing your truck, and responsive, knowledgeable service after you buy. Some crane manufacturers deal factory-direct, so they have a limited number of locations to cover the whole country. Other companies take a distributor-focused approach to sales and service. IMT is one such company and has one of the largest distributor networks in North America. IMT distributors are staffed with factory-trained personnel who can talk knowledgeably to end users about their specific application before the purchase — and provide technical support, parts and service afterward. Manufacturers that maintain a robust network are typically the best equipped to meet your lifting needs for service applications. 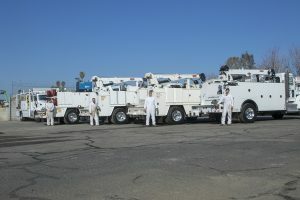 The size of the service crane and the size of the mechanics truck go hand in hand. Lifting needs determine crane size, which decides the size of the truck body. The combination of crane size, truck body size and payload dictates chassis size. Due to this interdependency of the crane, truck body and chassis, you should require that your crane manufacturer offers complete systems integration, which ensures reliable performance while maximizing the productivity of the entire vehicle.